A fine geode of Millerite from Gray’s Quarry, Illinois. Occurrences of Millerite are a welcome find across the mid-western United States. Field collectors are often on the lookout for these elusive specimens. 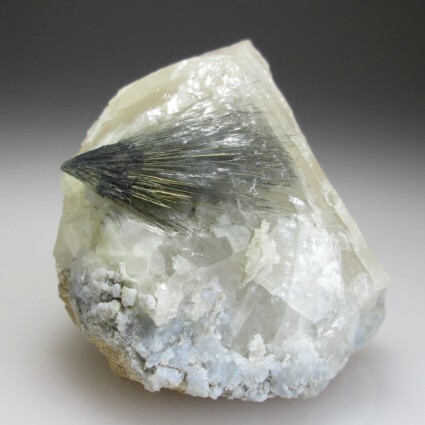 This fine spray of crystals is a perfect example, with needles up to 2 cm long, aesthetically placed against the Quartz background of the geode in which they grew.